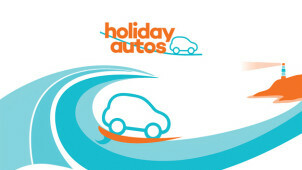 Holiday Autos was set up with one goal in mind: to make your holidays easier and less stressful by taking care of your car hire while you’re away. The company can do this because its team knows the care hire business inside out, and because they compare deals from some of the biggest car hire companies out there including Avis, Budget, Europcar, Hertz and Thrifty. So rather than spending ages shopping around between different companies, you can head straight to Holiday Autos and let them do the hard work for you. Over 8 million holidaymakers have already rented their vehicles through Holiday Autos, and with pick-up points in hundreds of locations in some of the most popular holiday spots such as Spain, Greece and Italy, as well as countries further afield such as Australia, the United States and South Africa, you know that getting your hands on your car will be one less thing you’ll have to worry about. How do I use my Holiday Autos promo code? Enter any personal details needed, followed by your payment details and confirm your booking with your savings. Pick up some tips on road trips, holiday destinations and how to find the best car deal on the Holiday Autos blog. What is included in the Holiday Autos rental price? This varies between car rental agents but generally includes collision damage waiver, third party liability protection, tax, airport fee, unlimited mileage and breakdown assistance. Does Holiday Autos have the choice of automatic vehicles? Yes, you can choose an automatic car, though the availability of these may be limited outside the US and Canada. What forms of ID do I need to bring to the Holiday Autos desk? You will need to bring a credit card, valid driving licence and booking voucher. Tel: 020 3740 9859. Lines open 24 hours, 7 days a week. There are hundreds of locations you can choose to pick your car up from. You’ll be sent an email confirmation once you’ve made your booking. You’ll receive a full refund for your booking, as long as you cancel with at least 24 hours notice. If you give less notice, you’ll be refunded minus 50 Euros. About to take off on a well-deserved break but haven’t got your holiday car rental sorted yet? That’s what Holiday Autos are here for. They promise to find you the best car hire deals by comparing prices among some of the top rental brands. With a Holiday Autos discount code, you’ll be able to save even more while abroad, so you’ll be able to spend your time seeing the sights and chilling on the beach. Wherever you’re heading on your break, Holiday Autos can help find you a car that’s right for your needs. With 30,000 pick up locations dotted around the world, you won’t have far to go to collect your vehicle. And with a range of cars from Minis all the way up to 9-seaters, you’ll be able to find the right fit, whether it’s just a holiday for 2 or you’ve got a shed load of kids in tow. Not only does Holiday Autos help you with finding a car that’s right for you, in a location that’s right for you, they also provide lots of handy information about your chosen holiday spot. Find out what there is to see, what’s nearby, and drives you might want to make. Use your Holiday Autos voucher code and you could hitting the ground when you arrive at your destination, free to explore independently and at your own leisure.